It would be hard to argue against the idea that we’re living in an age of analytics. For many large organisations selling to the public through B2C channels, analytics has become a critical competitive weapon, whether it’s our favourite online shopping site tempting us to make another related purchase, or our local supermarket ensuring that they don’t run out of ice cream during a heat wave. But although the adoption of sales analytics might have started with large B2C organisations that have the luxury of large IT departments and teams of experienced data analysts, even the smallest business-to-business sales organisations are now in a position to reap the benefits. It’s no wonder that sales analytics is seen as one of today’s top priority investments for sales teams of all sizes. Rather than relying on traditional BI tools and dedicated data warehouses requiring expert IT intervention, the recent exponential growth in the application of analytics in companies with complex B2B sales environments is largely being powered by a new generation of dedicated sales analytics solutions [Insight Squared happens to be the one I’m most familiar with] that require zero IT involvement and yet are able to deliver actionable insights in next-to-no-time. While the prime users of sales analytics used to be the sales operations function, I’ve seen many examples of transformational improvements in sales performance in organisations that have chosen to make customised easy-to-interpret analytic dashboards and reports easily accessible to every member of the sales organisation from the most recent hire to the most senior executive. In high-volume, low value transactional sales environments, reasonably accurate forecasting can be based on historical success rates plus an adjustment for current market conditions. But this approach is rarely effective in complex B2B sales where the outcome of a relatively small number of long sales cycle high-value opportunities often has a very significant impact on revenue delivery. We need to dig into the detail of every deal. By automatically identifying and interpreting underlying patterns of success and failure, today’s sales analytics solutions can highlight situations where the currently projected close date and/or probability of success of each individual opportunity is inconsistent with historic behaviour, allowing sales people and their managers to either take timely remedial action or adjust the forecasted outcome. Sales organisations that use analytics to diagnose and deal with these “outlier opportunities” in this way tend to suffer far fewer forecasting failures. More effective opportunity management is just one benefit of applying sales analytics. The longer-term benefits come from acting upon the identified patterns of success and failure. Analytics enable us to work out which activities have a positive or negative impact on sales success, and to identify the winning behaviours that distinguish our top sales performers from the rest. For example, one of my clients used analytics to identify that their top performers invested much more effort than their less productive peers in the initial discovery and qualification process – and then closed the remaining opportunities much more effectively. The client was able to apply the insights to establish a more robust qualification process that every sales person was taught to follow – and progressively narrowed the performance gap between the best and the rest. Rather than “always be closing”, the mantra for modern sales organisations and sales people must surely be “always be learning” – and the intelligent application of analytics must surely sit at the heart of any serious sales performance improvement initiative. 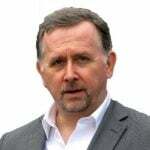 I’ve shared just a few examples of how I believe sales can benefit from the age of analytics. If you’ve already adopted sales analytics in your own organisation, I encourage you to stay curious and keep learning. But if all this is new to you, I urge you to start your sales analytics journey today. I can think of no credible reason to hold back. 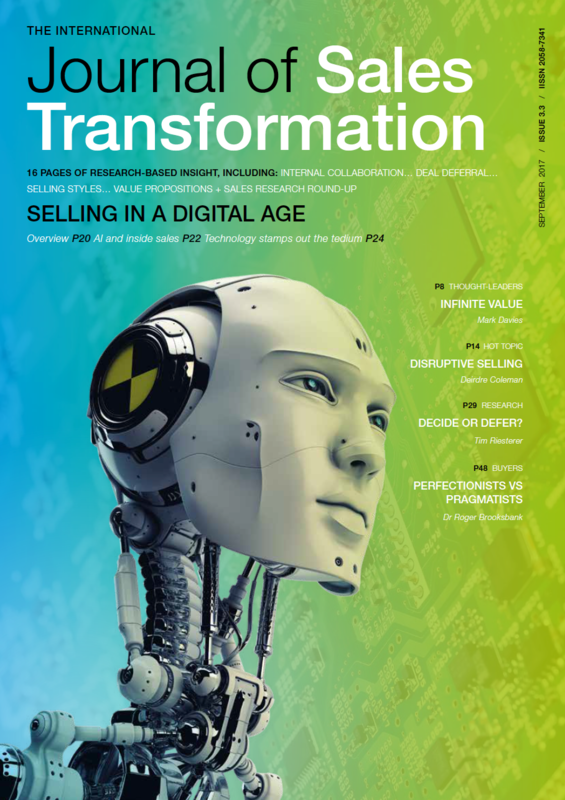 By the way, this article was originally published in the September 2017 edition of the always excellent International Journal of Sales Transformation – I urge you to subscribe. To learn more about the power of analytics, take a look at this video – and if you like what you see and hear and you’re a salesforce.com user, I recommend that you request your free trial today – I’m sure you’ll be amazed by the previously hidden insights about how your sales pipeline is really performing! You might also like to download this definitive guide to sales pipeline management. If you’d like to learn more, drop me a line.